This location offers a premium virtual office package that strives to set itself apart from the rest of its competition. Top of the line amenities include Professional Address at our East Sac. Business Center, Your own dedicated suite number, Hosted Reception and will call desk, and mail services including parcel handling. Pricing options vary based on the services that you select. Located in the heart of East Sacramento. This extremely professional, prestigious and contemporary business center provides premium and state of the art corporate workspace solutions for clients from any industry or commercial background and offers the ideal working environment and professional conditions for any client requirement. 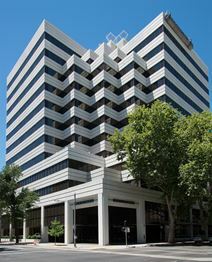 The building is located in Sacramento’s busy commercial district close to major hotels and shopping facilities and includes high speed network access and conferencing and seating facilities. Service suites to rent are completely modern with serviced and virtual office space offered. Conference facilities and easy parking. Large meeting room with private catering facilities offered. Off Watt Avenue close to Folsom. This premier business address in Sacramento's central business district is an eye-catching 25-storey office tower, complete with fully furnished interiors, state of the art technical facilities and an impressive glass-based architectural exterior. Close to the federal and county courthouses, this landmark business installation office space benefits from stunning panoramic views over the city. The local transport links in the area are also excellent and highly convenient. This modern building designed with great concepts is located close to the I-5 and is great for shopping local and eateries. Offices are based on two levels of this building and meeting rooms can accommodate up to 20 persons. Near Elk Grove and Greenhaven. Large office space in the heart of Sacramento in a quiet area on Cottage Way. Brand new, beautiful executive suites for rent. The center consists of all stone flooring and the large windows allow in lots of lighting. These beautiful executive suites are brand new and have been fully remodelled and provide lots of privacy and space, overlooking large greenbelt area. All stone floors and lots of lighting. Situated within easy driving distance of downtown Sacramento, this premium business centre has a peaceful and impressive design and provides serviced offices and suites with up to 3 rooms. It is within easy distance of the freeway and in walking distance of shopping facilities. Located in this fabulous Sacramento location easy access to the 5o highway and minutes’ to downtown offering great leisure facilities. This centre offers refurbished virtual offices facilities meeting all the needs of the discerning business person. This state of the art technology geared business centre comes with great conferencing facilities, receptionist cover and well designed offices with easy Freeway access. Located close to the Convention Centre. This Sacramento business centre close to the major 5 freeway and the local highways makes this a perfect place to conduct business. Facilities include high speed internet, breakout area, 24 hr access and other technology facilities. This out-of-town office space is situated in a polished and contemporary building in a lively business park close to major retail conveniences. It has excellent access to the city center, the Interstate and the airport. Office prices starting at $99 per month. We provide a collaborative work environment; perfect for start-ups, entrepreneurs, small businesses, or even companies looking to downsize. Take your business to the next level with one of our professional workspaces with flexible lease terms! This centre sits on a site offering spectacular views and pleasing furnishing and décor throughout with great conference facilities. Situated on the Campus Commons Point West commercial area. Leased space at this large 30,000 square foot building that can accommodate up to 20 persons is close to all major towns and to the I-80. Includes short and long term lease agreements with the use of meeting rooms, and friendly receptionist.